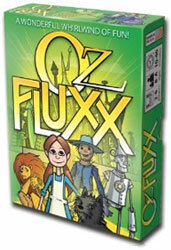 Play Board Games reviews an offshoot of the popular Fluxx game: Oz Fluxx. Oz Fluxx is a chaotic card game like the original Fluxx. The difference is this one is set in the Wonderful World of Oz.